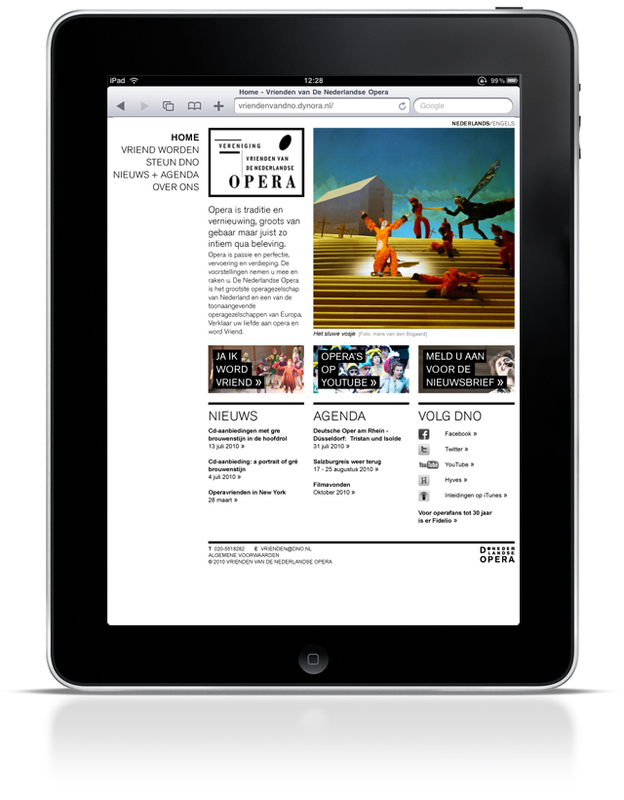 the new website for the Friends of The Dutch Opera (Vrienden van De Nederlandse Opera) launched today. 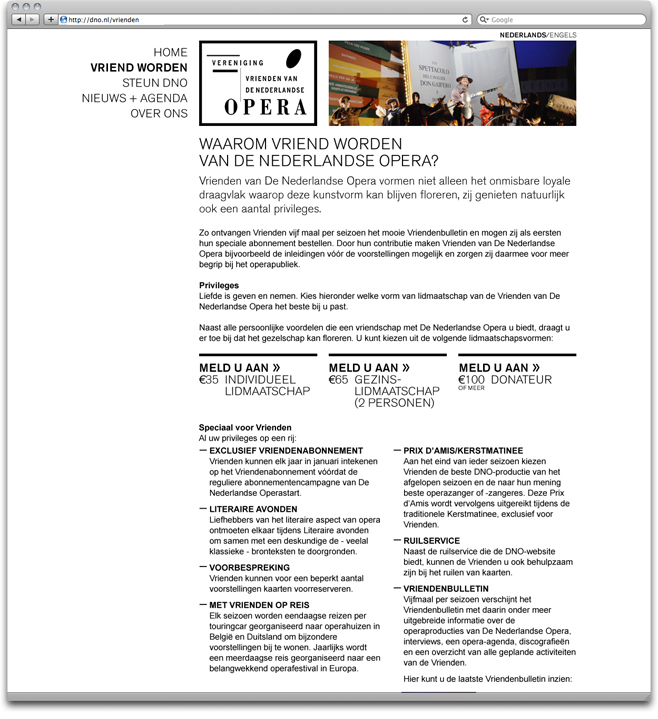 De Nederlandse Opera is located in Amsterdam and is dedicated to promoting dramatic musical arts in the Netherlands. this client came to us with a specific goal: to create an easy-to-use website for the Opera’s membership group that could live along side their partner websites: Het Muziektheater, Het Nationale Ballet, and of course, De Nederlandse Opera itself. the site needed to speak to the drama and beauty of the opera while being timeless enough that it wouldn’t require an update for a significant period of time. in addition to the design, mannschaft was responsible for the information architecture for the dual-language site. we worked with Mo Veld for the Dutch text and Jonathan Reeder for the English translation. for the backend functionality, we worked with Dynora, who previously developed the site for Het Muziektheater. 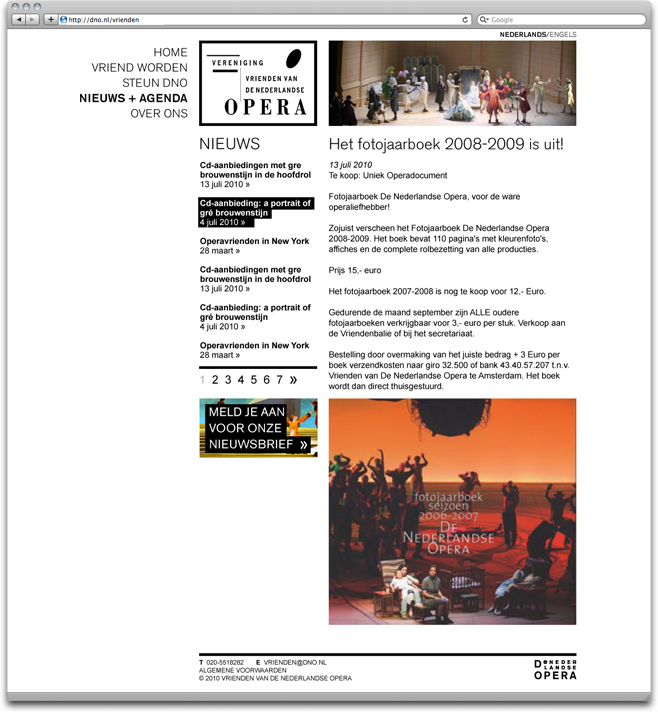 below you can view some screenshots of the site design or visit the Vrienden van De Nederlandse Opera site to click through it yourself.